Divi come with lots of fonts, but no easy way to view them all. 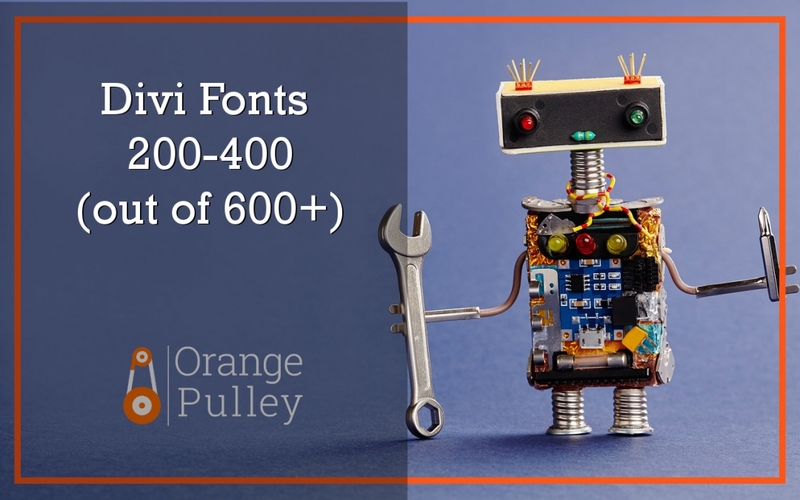 This page displays fonts 201 – 400 (out of more than 600!) of these fonts for easy access/view when going into a project. If you’re looking for Fonts 1-200 you can check out the previous post. Otherwise, enjoy!